We are writing this for all Virginia Team Managers who may be interested in learning about Global Finals for the 2018-19 season. 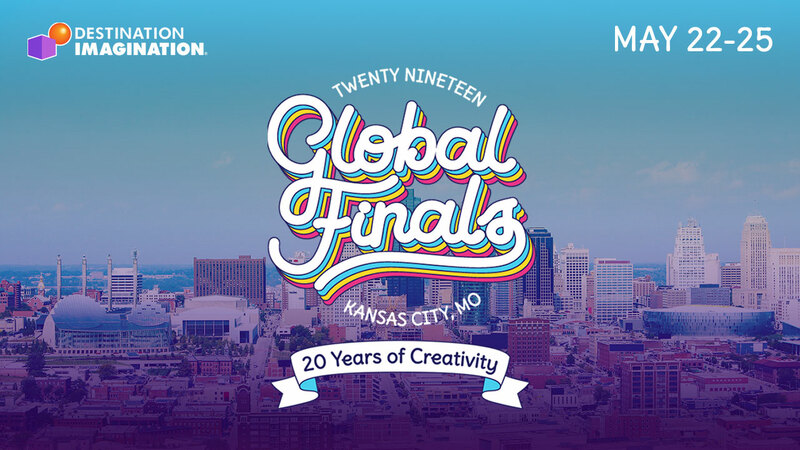 First, Global Finals has moved to Kansas City, MO for our May 22-25, 2019 tournament! This is an exciting and much needed change. There were annual complaints/issues at Knoxville that we have been unable to rectify for many years. The move provides a fresh start on global finals. 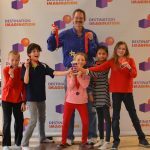 Second, the new global finals website www.globalfinals.org just went live. Feel free to check it out. Lastly, pricing has been released for Global Finals and is coming as a shock to many who hear it. The registration cost is $5500 per team, but room and board are not included. For Virginia, the average team all-in cost of Global Finals may be higher than where it has been in the past for Virginia teams. Travel by bus, car, or airfare, along with prop transportation will be added costs for most Virginia teams this year. Housing will be in hotels at the likely rate between $135 and $170 per night per room (including tax). Food is estimated at $36 per day per person. For small groups, the flat registration fee will hurt. For larger groups the flat registration fee is a benefit. We encourage you to run your own calculations to determine what the costs may be for your team and team supporters. We are exploring prop transport options for all Virginia teams to hopefully mitigate some costs there as well. This change to a flat registration fee is a needed one. Every other DI tournament and activity is priced per team. The reason for this is that the activities and events are dominated by ‘team’ costs, not per-person costs. Global Finals needed to move to this structure to better represent the per-team costs of running this event. The move to a non-inclusive room and board pricing is more work for team managers and seems that it may be more expensive. However, DI is contracting blocks of rooms from many different hotels and will have a system to make rooms attractively priced and organized. (typically DI is getting government rates for rooms through this system) This means that teams will get to choose the quality, location, and cost for their accommodations. In addition, teams can choose how many people to put in each room. No more forced assignment in the dorms, forced air mattresses, paper sheets, or being assigned to Pigeon Forge. You will know what you are getting and can balance many factors against the cost you pay. Food will be determined by the teams. Packages of food will be offered through catering companies for those interested. Food will be available in the Convention Center. Most hotels will include a free breakfast. There are many restaurants around the convention center and the hotels. And a free rail system around downtown Kansas city allows you to expand to other options. Teams can choose the food they eat, when they eat, and how much they spend. Yes, it is more work for Team Managers. But, you aren’t being forced to pay for meal plans and then spend more money to take everybody out to eat the pizza that they really want. The event is going to be held in downtown Kansas City at the KC Convention Center (KCCC). Opening and closing ceremonies will be at the Sprint Arena just blocks away. EVERY performance site AND prop storage will be in the KCCC. There is a massive room (7 football fields large) where EVERY team will have a 10’x10′ designated prop storage and display space for the entire week. The move to a single site is incredible and will provide an atmosphere of fun and creativity for all—something that was lacking in some sites previously. Adam had the privilege of visiting KC a few weeks ago. The excitement of KC and the amount of new and cool things that are available makes this event something to look forward to. We will share information as we learn about it. Yes, this is a big change and it affects each team differently. Take a big breath, run some numbers, then email or call. We are happy to discuss.